Have you ever dreamt of being a ruler of your own territory? Our history contains lots of conquests, but the Earth is so huge. So does it surprise you if I say that we missed some “spots”? There are unoccupied areas everywhere, they are called Terra Nullius, meaning nobody’s land. This term is used in international law to describe a territory which has never been subject to the sovereignty of any state. Isn’t it interesting that our ancestors had to fight serious wars for our homeland but there are places on Earth that no one ever wanted to own? There’s Egypt, Sudan…. But wait. What is that quadrilateral shaped land? It’s one of the current terra nullius called Bir Tawil. It’s a 2,060 km2 (800 square miles) area along the border between Egypt and Sudan, uninhabited and claimed by neither country. In 1899 UK held authority in the area, because the Anglo- Egyptian Condominium Agreement for Sudan set the border between the territories at the 22nd parallel. But 3 years later the UK drew another boundary to reflect the actual use of the land by the people in the region. Bir Tawil was a grazing land placed under Egyptian administration and the Hala’ib triangle to the northeast was placed under the British governor of Sudan because its inhabitants were culturally closer to Khartoum. 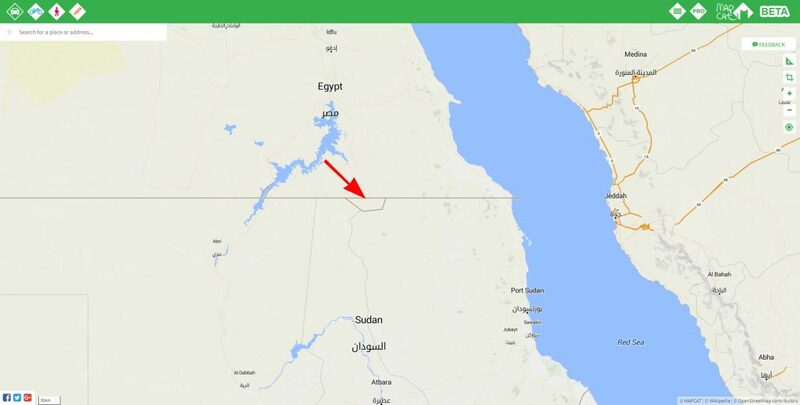 The Hala’ib Triangle is more valuable than the Bir Tawil area, which is only a tenth in size and has no permanent settlements or access to the sea, so it is understandable that both Sudan and Egypt wants the more precious lands. However, Bir Tawil was not forgotten either, multiple individuals and organizations have attempted to claim this territory. The most interesting attempt was made by a farmer from Virginia, USA, called Jeremiah Heaton. One day his daughter asked him if she could be a real princess someday, and as a good father, he’s answer was ‘yes’. In 2014, he took the 14-hour caravan journey through the desert, in time to plant the flag of the Heaton Kingdom — blue with the seal and stars representing members of the family — in Bir Tawil soil. Bir Tawil is not the only terra nullius, there are unclaimed areas in Antarctica too, but due to the Antarctic Treaty, only the Soviet Union and the US reserved the right to make a claim. Have you noticed this place on the map? Well… somebody must be really tired of drawing a straight line… or is there something interesting? 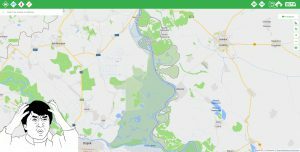 Yes, it’s Liberland! 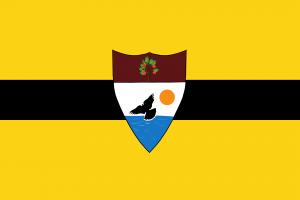 Officially the Free Republic of Liberland is a micronation claiming an uninhabited parcel of disputed land on the western bank of the Danube, between Croatia and Serbia. A Czech politician Vít Jedlička proclaimed the territory in 2015. He created a website where people can donate and claim for citizenship. Today there are 400,000 applicants. The micronation has national anthem, flag and motto. The yellow backdrop is symbolizing libertarianism, with a black stripe running horizontally through the centre is symbolizing rebellion and we can see the coat of arms in the middle of the flag. Their motto is “To live and let live” because Liberland prides itself on personal and economic freedom of its people, which is guaranteed by the constitution, which significantly limits the power of politicians so they could not interfere too much in the freedoms of the Liberland nation.